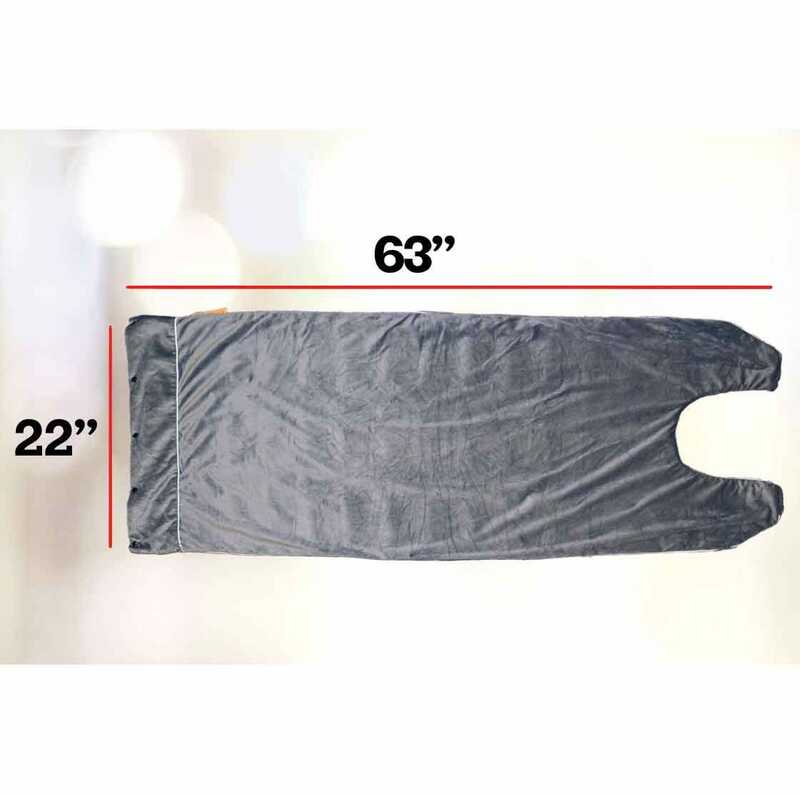 Ultra-Weighted Blanket is a refined weighted blanket experience. Ultra-Weighted Blanket is just the right size to cover you up so you’ll be relaxing like royalty in no time. Features a bib-style design on the top so it can wrap around your neck and cover every inch of you in weighted therapy goodness. Weighted therapy helps to exert deep touch pressure simulation. Ultra-Weighted Blanket helps promote the production of relaxation factors in your body, like melatonin and serotonin. These help to regulate your mood and give you a better sense of calm and peace. Weighs 9 lbs. and measures 24 1/2”l x 63”w.